It was a rewarding scramble up to a cavern of Aboriginal paintings. These are the works of the Bidjara people and I was glad to learn of their recovery of their cultural sites. 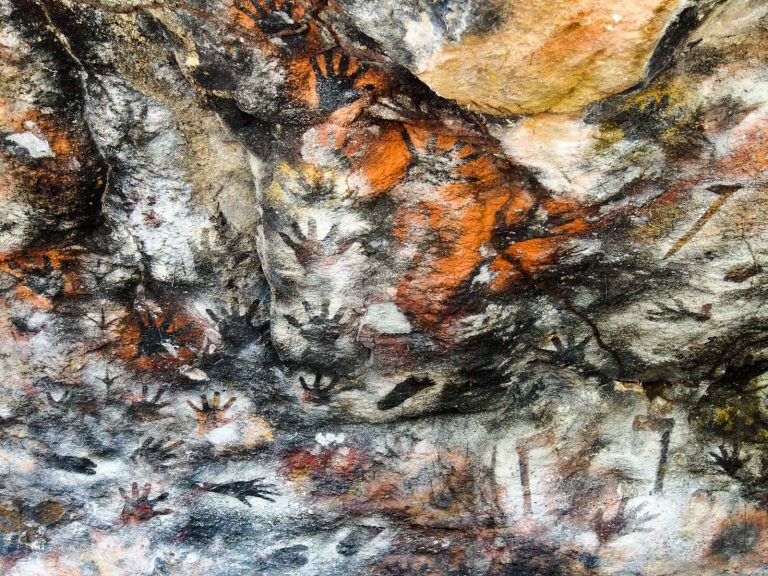 Across an overhanging wall in ochre colours were hands, bird tracks, hatchets (some looked European: were they traded?) and lattice-patterns resembling fish traps.